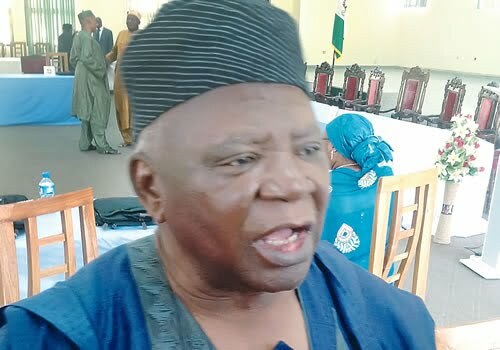 A founding member of the Peoples Democratic Party, PDP, and Second Republic Speaker of Plateau State House of Assembly, Prof. Dakum Shown, has revealed that the Middle Belt is currently shopping for a Presidential candidate in the ruling All Progressive Congress, APC, to take over from President Muhammadu Buhari. Shown said Buhari was the easiest person to beat right now having allegedly caused Nigerians pain and hardship, adding that he was glad that most political parties had zoned the their presidential slot to the north. He said anyone endorsing Buhari from the region was making a great mistake. He insisted that the Presidency belongs to the Middle come 2019. He told Sun, “Well, I am glad that most of the political parties are saying that they have zoned the presidential slot to the north and the Middle Belt is in the north and by the grace of God, we will come out with somebody who will contest the presidential position in 2019. “We have been keeping quiet and we have discovered that our keeping quite will not be useful to our youths in the future, it will not be useful to the region and I am assuring you that we are gearing up towards bringing one of us this time to come out and contest the presidential election and any political party that rejects a Middle Belter, we will mobilise our people against that political party. “Well, we are not saying that all Middle Belters will go for one party but any Middle Belter that endorses Buhari for 2019 is making a greatest mistake of his life. We want those people to come home and do that, they should not do that in Abuja. “The endorsement are just political gimmicks, I have noticed that such declarations are done in Abuja to please Buhari, if they are truthful, let them go to their respective Middle Belt states and endorsed him. “I want somebody from the Middle Belt in the All Progressives Congress (APC) to come out and challenge Buhari, we are not second hand citizens in this country, we have served this country, we have defended the country from disintegration, so why should we now begin to fear, fear who? “This is a signal to our people in the APC, we are not saying we must all be in the PDP, we want a chap in the APC who can challenge Buhari, the presidency belong to all of us. “What do you think Buhari has done that nobody can beat him? What has he done, is it the suffering and hardship that Nigerians are going through or what? Buhari is the easiest person to beat in 2019. The APC should think twice, before presenting him. “I am a PDP man; I will be the happiest person if they present Buhari because there are a lot of things that we can sell to Nigerians that will make them not buy Buhari for a Kobo. Just look at the fuel hardship. Buhari came into government with a loud voice of fighting insecurity and corruption, has he done that?